Did you know you can refinish old hardwood floors back to looking like new? 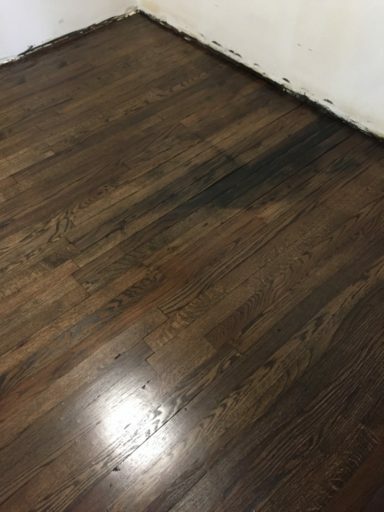 Before you think your wood floors are too beat up and old to be repaired, please call me, Joe – 516-322-8630 – so I can inspect them to see if they can be restored. Below are Before & After photos of a job we did last week in Nassau County. We specialize in bringing old hardwood floors back to life. 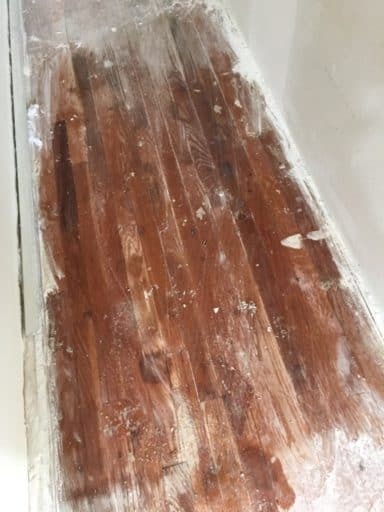 Now that you see how beautiful a new finish can look on old hardwood floors, compare the costs to remove and replace an old wood floor with new hardwood boards. Use the list below to itemize your price quotes. HARDWOOD FLOOR COST – New wood floors price per square foot. Add 10% for waste (cut ends). 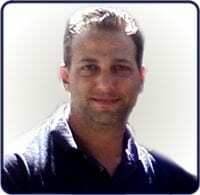 HARDWOOD FLOOR INSTALLATION – Labor cost to install new wood floors. 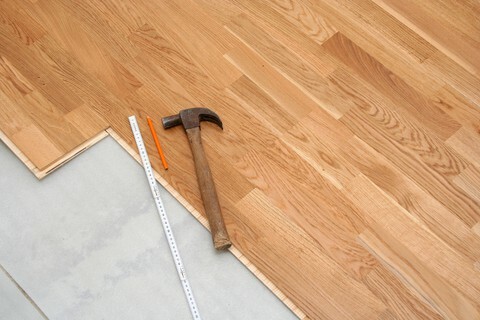 HARDWOOD FLOOR MATERIALS – Underlayment, fasteners/nails, sealer, surface coats. HARDWOOD FLOOR EQUIPMENT — USE – Pneumatic nail gun, Belt Sander, Edge Sander, Buffer. 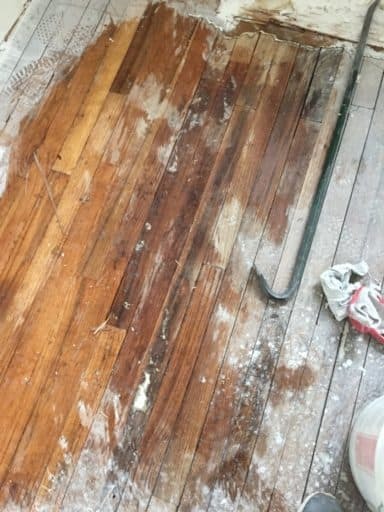 OLD HARDWOOD FLOOR REMOVAL – Typically a day’s labor – two men, cost per hour. OLD WOOD & DEBRIS DISPOSAL – Time and cost to transport and dump waste material in landfill. 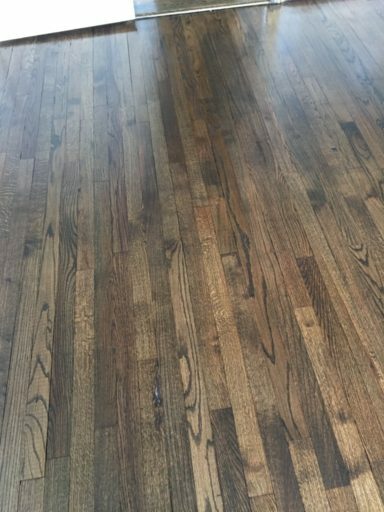 Once you get your price quotes on the above line-items, compare it to the cost of refinishing your old hardwood floors. If your floors can be sanded again, this might be a good option for your wallet and also good for the environment. 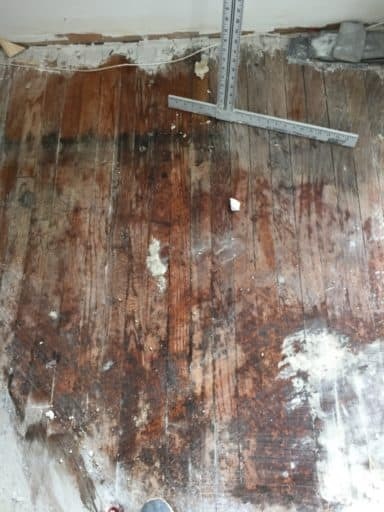 Why throw away good hardwood floors in a landfill and cut down more trees when we might be able to restore your home’s original hardwood floors? 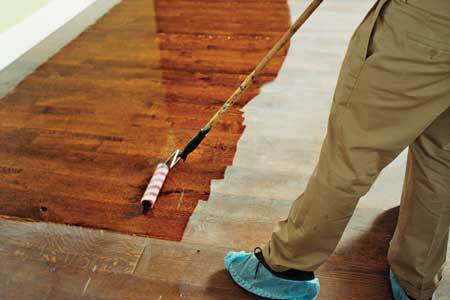 Of course we would have to inspect your wood floors to see how many times they have been sanded down and refinished. 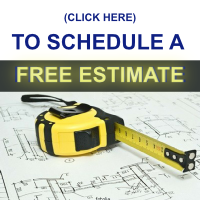 Call us at 516-322-8630 for a fast, free estimate. 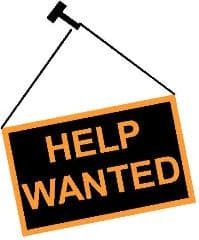 Or if you prefer, use our online FREE ESTIMATE form by clicking over to this page. Advanced Hardwood Flooring, Inc. is located in Westbury, New York and services hardwood floors in Nassau County and western Suffolk County. 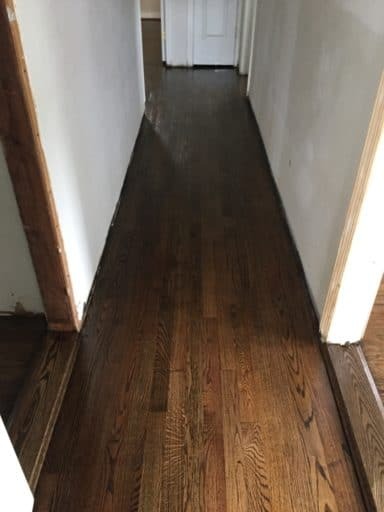 We have refinished wood floors in Garden City, Old Westbury, New Hyde Park, Williston Park, Carle Place, Roslyn, Flower Hill, Manhasset, Port Washington, Sands Point, Manorhaven, Glen Cove, Glen Head, Sea Cliff, Great Neck, Kings Point, Lake Success, Saddle Rock, Locust Valley, Lattingtown, Bayville, Mill Neck, Oyster Bay, Centre Island, Cove Neck, Matinecock, Brookville, Muttontown, Syosset, Jericho, Laurel Hollow, Cold Spring Harbor, Lloyd Harbor, Huntington, West Hills, Melville, Bethpage, Plainview, Farmingdale, Wheatley Heights, Dix Hills, Greenlawn, Centerport, Northport, Asharoken, Commack and many more town on Long Island.